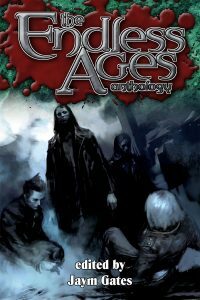 Have you picked up your copy of Endless Ages yet? If not, today’s post gives you a little bit of insight into my inspiration behind “Redder Than Red”. Happy Halloween! When I was working on Dread Names: Red List, Matt (McElroy) and I would speculate which Anathema would be the first to get caught in the modern era and why. Often, Ayisha Jocastian’s name would pop up because she represents a direct threat to the Masquerade. As an Anathema, Ayisha is unique in the sense that she believes that the consciousness of the vampires she has consumed are directing her actions, but she is also a political threat because her zeal to reproduce and distribute the Book of Nod. Though Ayisha was already condemned to the Red List and could never be removed, she is an active threat who will not stop committing diablerie, nor will she stop sharing vampiric secrets with mortals. My story, which is titled “Redder Than Red”, is written from the perspective of a Malkavian named Rebecca Fleischer whose childe was diablerized by Ayisha. Rebecca suffers from a form of Obsessive-Compulsive Disorder called Arithmomania, which means she has a fundamental need to count. I felt this would be a good mental illness to help illustrate what Rebecca is feeling and seeing, and gets away from the stereotypes that plague members of Clan Malkavian and undermine their potential in a story. Together with Ventrue Alastor Stephan Ashworth, the two Kindred drive to a warehouse to confront Ayisha Jocastian once and for all. Stephan adds some setting heft to the story, as both Alastors and Anathema are part of the rich lore associated with the Red List, but he also offers a dynamic to show this fight isn’t between two vampires. For Rebecca, however, her desire to take down Ayisha is personal; losing her childe is a powerful motivator for vengeance. I hope your thirst for vampire fiction will draw you to “Redder Than Red”. This story was a lot of fun to write, and I enjoyed taking on this aspect of Vampire: The Masquerade for the modern era. Following my announcement from last year that I am the developer for Hunter the Vigil 2nd Edition which features the Slasher Chronicle, I uploaded my first OpenDevelopment post titled: Hunter 2E OpenDev and Ashwood Abbey and the second one which is Tier Two Compacts and Globalization. 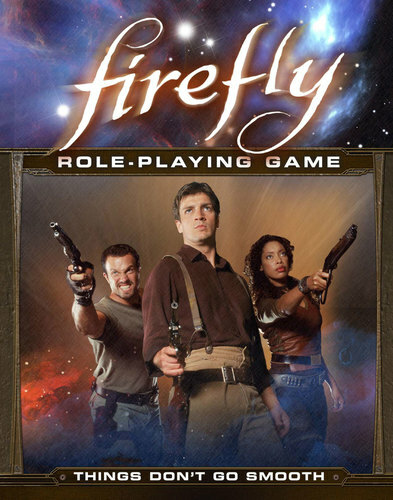 There are a lot of approaches to development, and managing this line will be very, very different from the Firefly RPG for the simple reason that the licensing and setting restrictions aren’t based on a TV show. Hunter: the Vigil was (and is) a widely popular game where you play a human hunter–for all the good, bad, and ugly that entails–fighting the supernatural. The line, which has had continued support since the corebook’s debut eight or nine years ago, will be getting a new edition and this is why I’m on board. In a way, I’m very lucky because I’m focused on enhancements as opposed to creating something from scratch. Since other second edition books for the Chronicles of Darkness have already been released, I have a lot of pre-existing material and systems to draw from to create a new edition–which is great. However, there’s a lot of tweaks I want to make, but to help me make better decisions I am using Open Development as a way to get feedback prior to writing the outline for the corebook. This, too, is a huge departure from Firefly, as setting restrictions for Hunter aren’t overly specific, nor are they related to the show so I have more flexibility to start with within the conceit of hunting monsters. Here, I’m building a new edition off a hugely strong foundation, and I get the opportunity to have fan feedback because of the relationship between Onyx Path Publishing and Paradox Entertainment. This is a pretty big deal to me, because though as a developer I have to weigh decisions for all kinds of players (meaning I need to avoid one-true-way-isms and focus more on the toolkit approach that Hunter originated with), I can hear from fans what their reasoning is behind what they like about the game. And, most importantly, how certain decisions impact play at their tables as opposed to what they’re gleaning from reading the text itself. It’ll be interesting to see how OpenDev shakes out, once I get to the rules portion of the conversation, but for now I’m tightly focused on clarifying what those enhancements might be (e.g. tiered play, slashers, etc.) to set some bones down before proceeding. This will also enable me to see where the holes are before proceeding with an open call for writers, especially since I’m keen on lifting the game to a truly global level. If you’re interested in reading OpenDev, I’ll link to them in my project updates or you can follow along by visiting the Onyx Path website at www.theonyxpath.com. Our friends at The Black Campbell reviewed Things Don’t Go Smooth, a 238 page GM-facing supplement for the Firefly Role Playing Game. The review is available here and this supplement is now available! Our first supplement of new material to use at your table is now available in digital. What’s more, we just sent THINGS DON’T GO SMOOTH off to the printer. Want to know more about it? Read on! Life’s not easy. Don’t matter whether you’re flying a leaky boat along the Rim or dodging Alliance cruisers in the Core, there’s always something or somebody getting in the way of a Crew’s honest day’s work. THINGS DON’T GO SMOOTH presents a baker’s dozen of shady crews, crime bosses, megalomaniacs, and unexplainable phenomena designed to get in the way of your Crew. Each includes a wealth of story hooks, supporting characters, locations, ships, and background material to help you bring the ‘Verse to your table. GM’s will also find over 50 new Distinctions and Signature Assets, new enemy boats, rules for scene Traits and triggers, plus the Episodes “Merciless” and “Thieves in Heaven” to bring these characters to life! The Firefly RPG corebook is required to use this supplement. New rules introduce scene Triggers—giving GMs more dice to roll! THINGS DON’T GO SMOOTH is a softcover supplement for the FIREFLY RPG and uses a freewheelin’ version of the award-winning Cortex Plus System. You can pre-order the print edition directly from Margaret Weis Productions or buy it in PDF via DriveThruRPG.com.